India’s vibrant capital city, New Delhi, is famous for its variety of food. Also famous is the delicious street food in Delhi. Old Delhi, in particular, is full of tiny hole-in-the-wall street food joints known for cheap prices and great flavours. 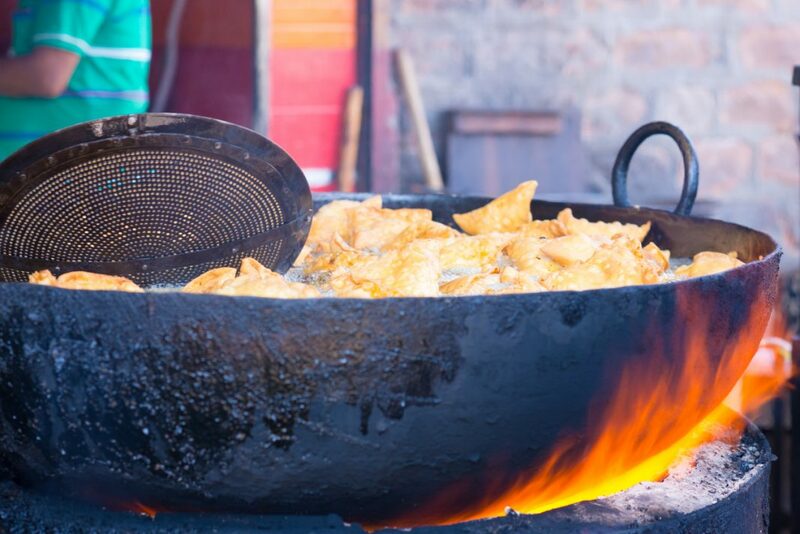 Here are some of the top dishes of street food in Delhi that you must try. 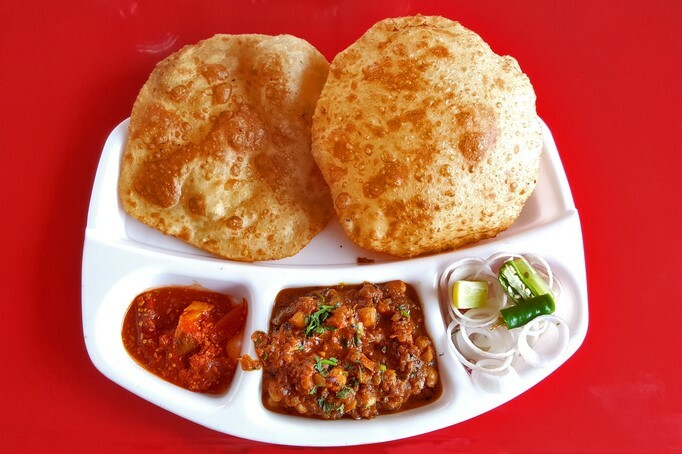 Chole bhature is a must-try food combination in Delhi. It consists of a spicy curry of onions and chickpeas (chole), eaten with bhature, fluffy fried bread made from flour. It is a popular breakfast food and is often accompanied by onion and pickle. 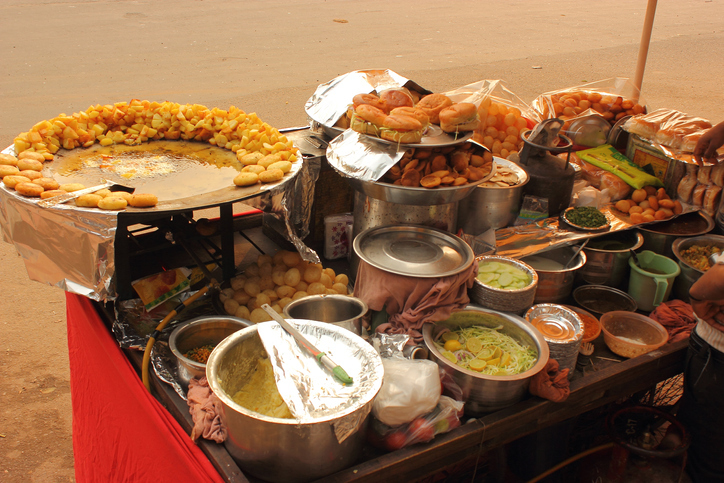 Chaat refers to a variety of savoury snacks found at road-side stalls or food carts. Usually mouth-watering, they are truly a treat for your taste buds. Try gol-gappe (also known as “paani puri“) or dahi bhalla, which is soaked in sweet curd and chutney; you can also try aloo chaat and chana jor garam, which consists of spiced lentils. 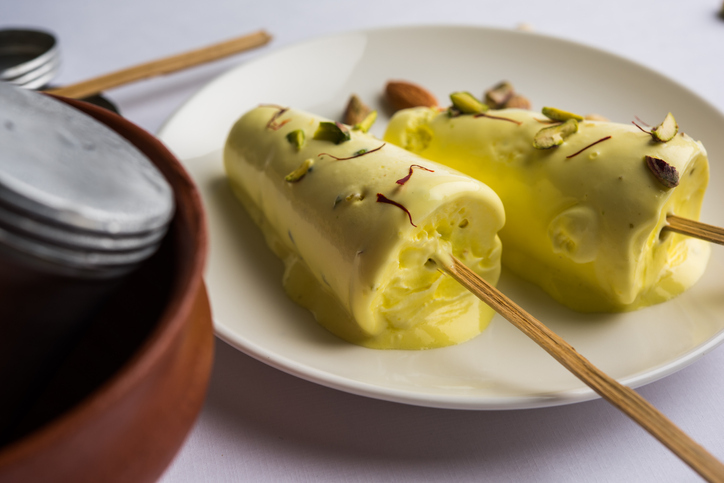 Made with condensed milk, kulfis are a popular frozen Indian dessert. The dish comes in a number of flavours such as saffron, pistachios, cardamom, and rose. 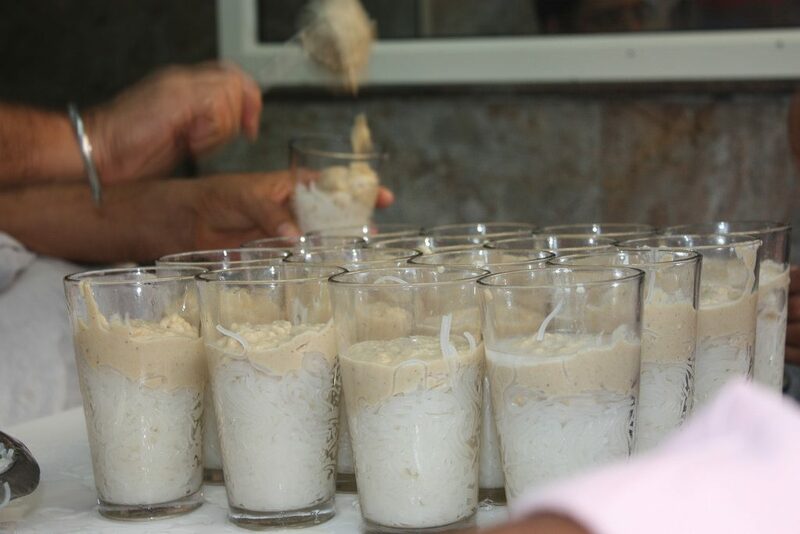 You can also try a variety served with faluda (glass noodles). A household favourite, paranthas are also a popular street snack in Delhi. This Indian bread can be stuffed with anything from potatoes (aloo paratha) to chicken (chicken parantha or keema parantha) and are often served with butter or with pickle and curd. 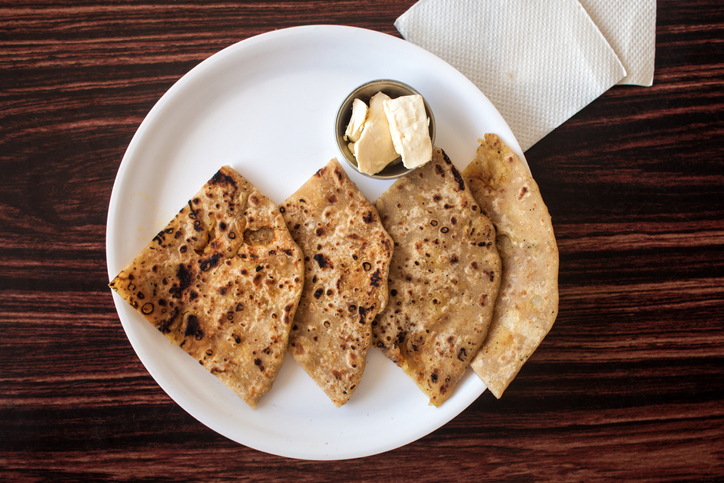 Visit the Paranthe Wali Gali in Chandni Chowk for some of the best parathas. 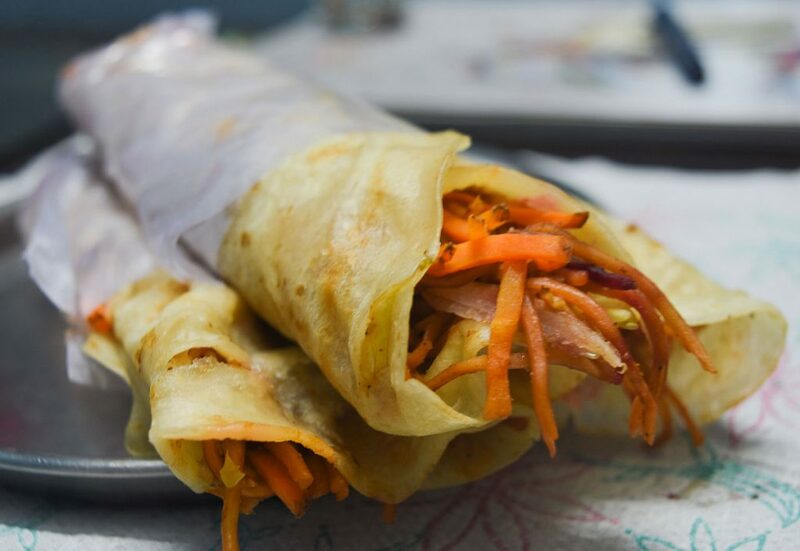 One of the most ubiquitous Indian street foods, the Kati roll is essentially a paratha wrapped around varied fillings, or even around kebabs. Every street vendor in Delhi has his own special ingredient to make it all the more delicious. 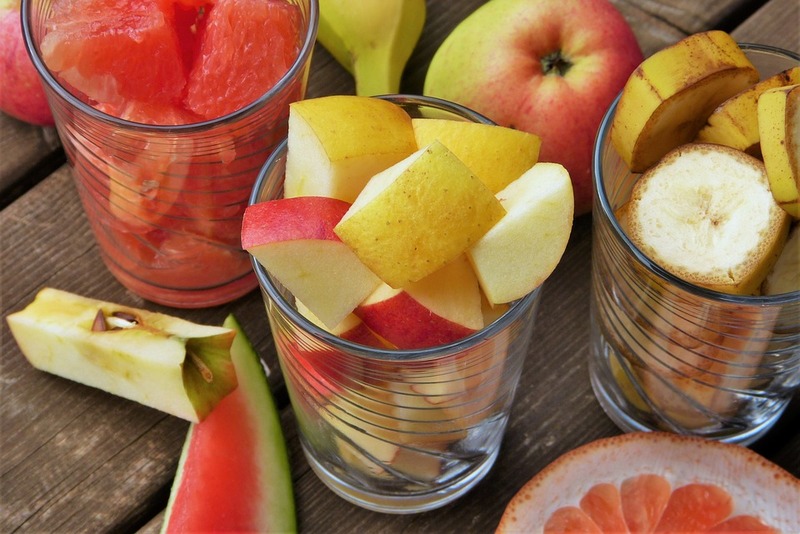 This refreshing street food in Delhi is made with juicy fruits with mild spices. It is basically an Indian fruit salad with the added kick of cumin, chaat masala and lemon juice, and is the perfect summertime snack. 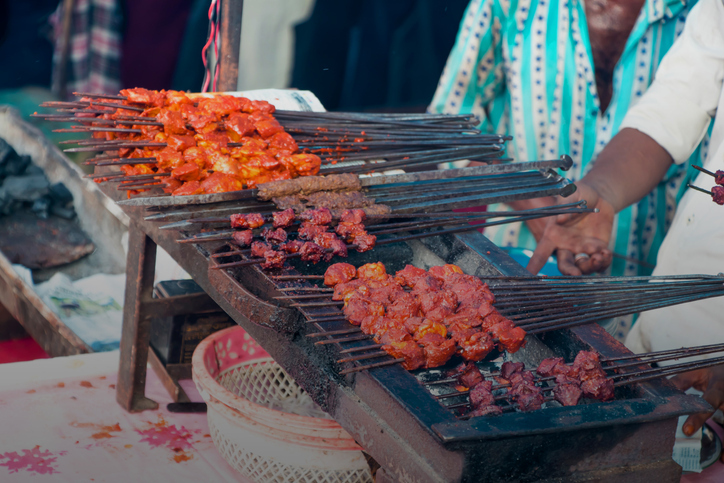 Kebabs are one of the best street foods in Delhi. 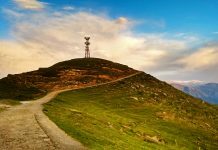 Some of the most popular kebabs are tikkas (marinated chunks of meat that is then grilled), sheekh kebabs (minced meat wrapped around the barbeque sticks) and galouti kebabs (a beaten meat paste formed into a cutlet and cooked). 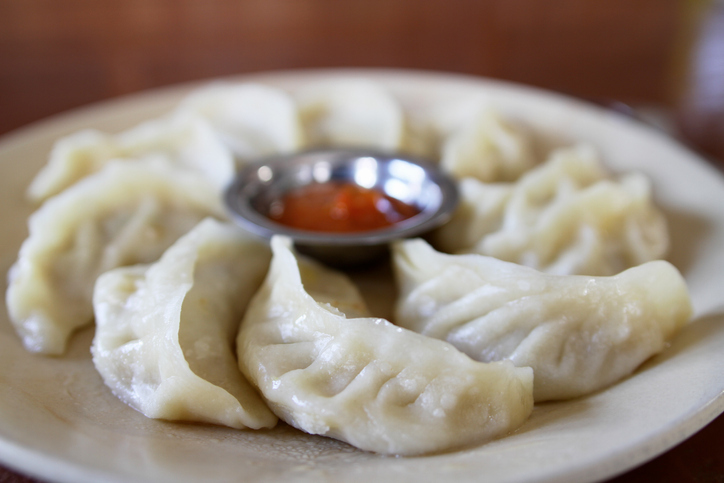 Momos are a popular snack in Delhi and across India. These steamed dumplings are filled with ground meat, vegetables or cheese, and are usually served with a tomato-based dipping sauce. 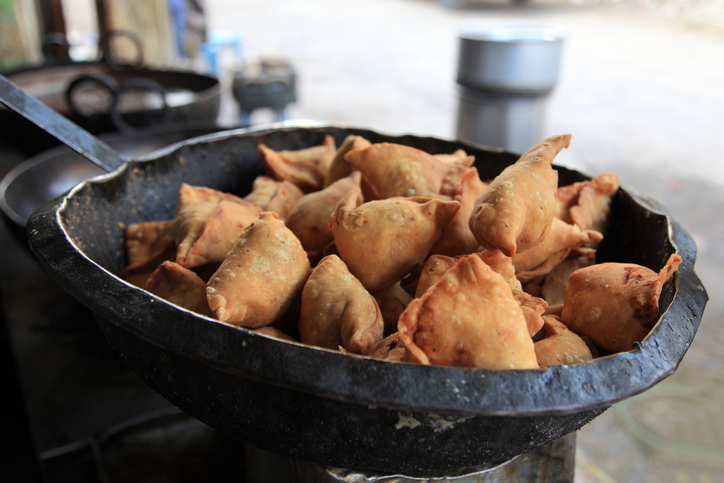 Samosas are a popular deep-fried Indian snack found across the country. The hard, crispy shell is filled with potatoes, peas and spices, and can also sometimes have meat. They are usually served with a green chilli chutney, though they can also be eaten with chole. 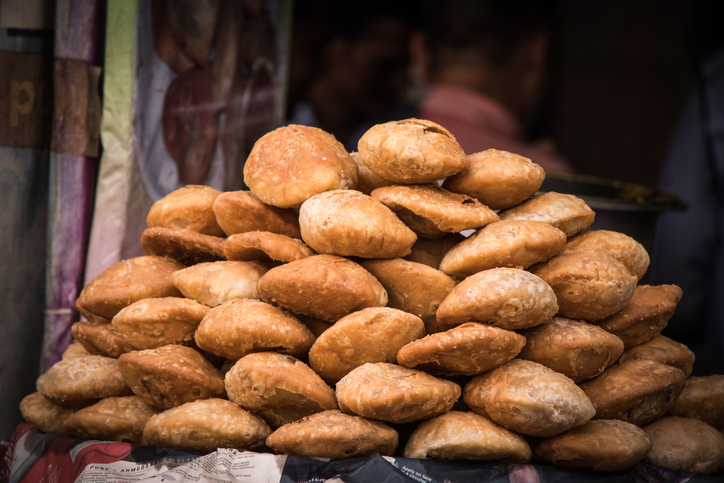 Kachoris are another spicy treat found almost everywhere in India. They are usually filled with a potato mixture, though you can also find onion kachoris and a sweet version. 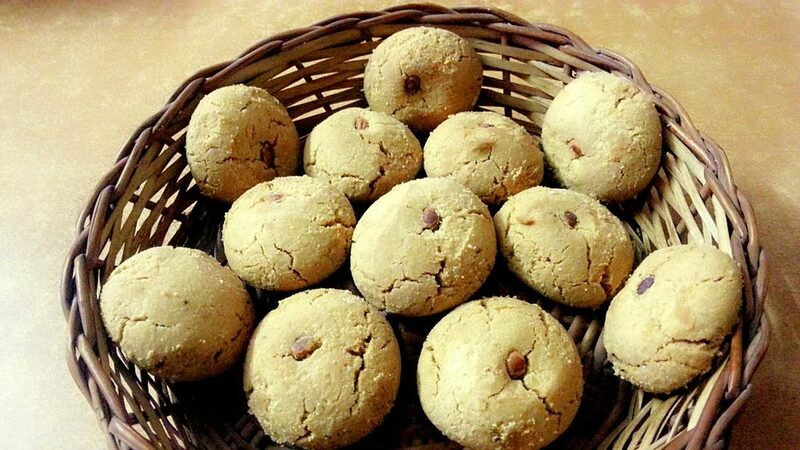 This biscuit is popular in northern India, and especially in Delhi. The name comes from the Persian word “naan,” meaning bread, and the Afghan “khatai,” or biscuit. Made with flour, sugar, curd, pistachios, and spices, it is like a mix of biscuit and dried bread. 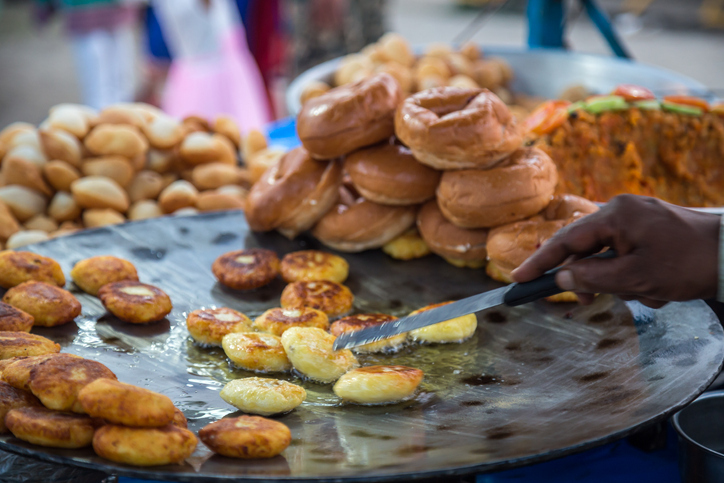 Another delicious street food in Delhi is the well-known aloo tikki. Essentially a small potato cutlet with peas and spices, it is served with chutneys and yoghurt. It can also be sandwiched in a bun, creating the quintessentially Delhi “gupta burger”. 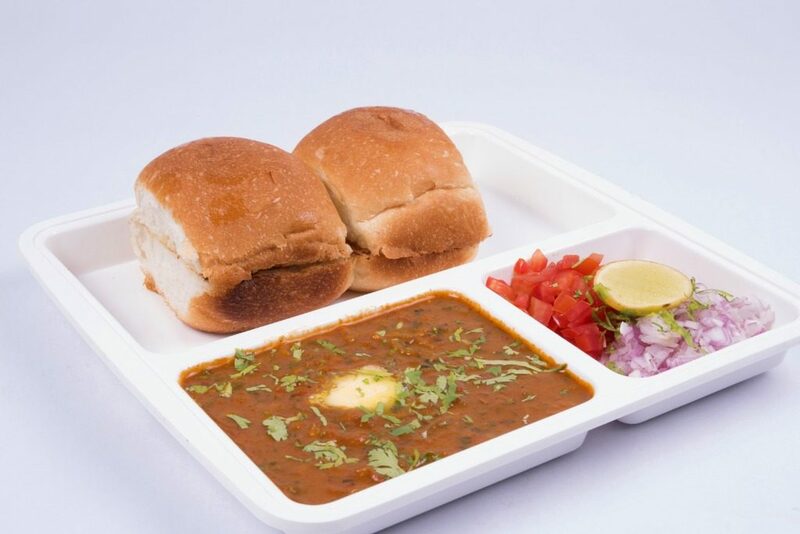 The incredibly popular pav bhaji may be most associated with Delhi, but is also an important part of the Delhi street food culture. The dish consists of a thick vegetable curry (bhaji) served with soft bread rolls (pav). Have we missed any of your favourite #dishes of street food in Delhi? If so, do share them in the comments below.